Dried Persian limes are a staple spice when cooking Middle Eastern food. Originating from Oman, Iran, Iraq, and the Middle Eastern Gulf States, Persian limes, also known as Limu Omani, are a type of citrus hybrid between Key limes and citron. The freshly picked whole Persian limes are soaked in a salty brine and then is air-dried until they become hard and are about the size of golf balls. The whole limes are thoroughly dried until all of the juice is gone. These preserved Persian limes are then stored in airtight containers and used for adding flavor to meat stews, soups, and legumes. Ground Persian limes impart a slightly different flavor when added to foods than do the whole ones. They both have a slightly sweet, tangy, and fermented flavor, but they are used differently in cooking. The smoky, sour flavor of dried Persian limes brings dishes like lamb stew and chicken tagine to an exotic level. When using whole Persian limes, you add the entire dried lime into the stew or soup. The flavors of the meats, vegetables, and other spices used in the stew, then wash through the whole dried Persian lime, releasing the flavor of the lime. 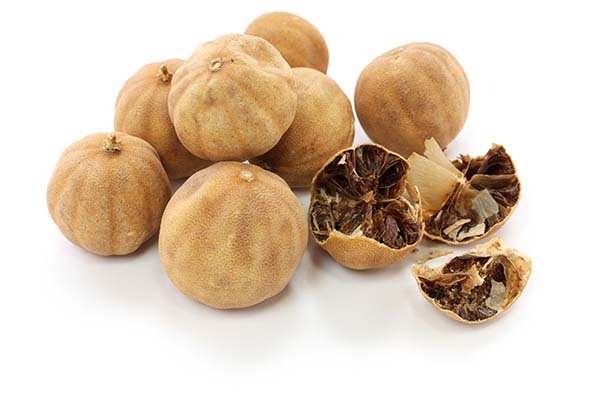 However, once the dried lime has been cracked open and processed in a spice or coffee grinder to make a powder, the volatile oils within the citrus are released, adding a more citrusy note to the foods. With the ground version, you only add small amounts to the dish as opposed to the whole dried fruit. When making a grilled lamb dish or lamb burgers, and you add ground lime powder, the meat takes on an authentic Persian flavor. 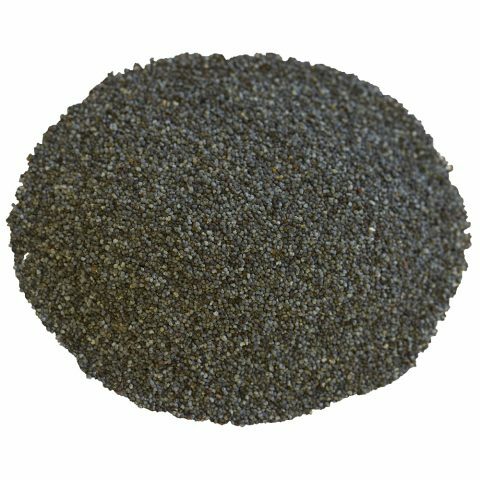 You can also easily add the ground lime powder onto baked seafood, basted chicken, or can be sprinkled over lentil salads. The powdered form is easy to use when adding to the cooking water of rice pilaf and other Middle Eastern grain dishes. 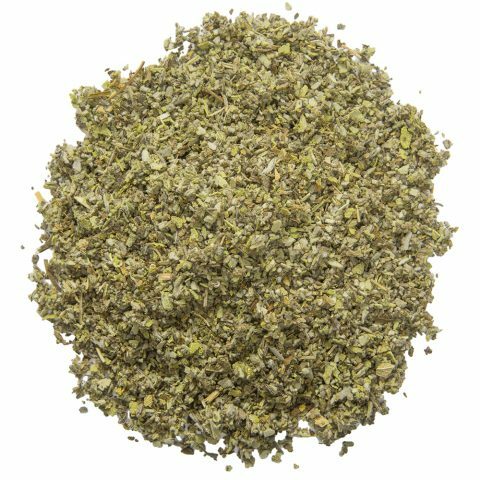 The ground Persian lime powder adds an earthy fragrance to spice blends that are used for rubs on all kinds of meats. 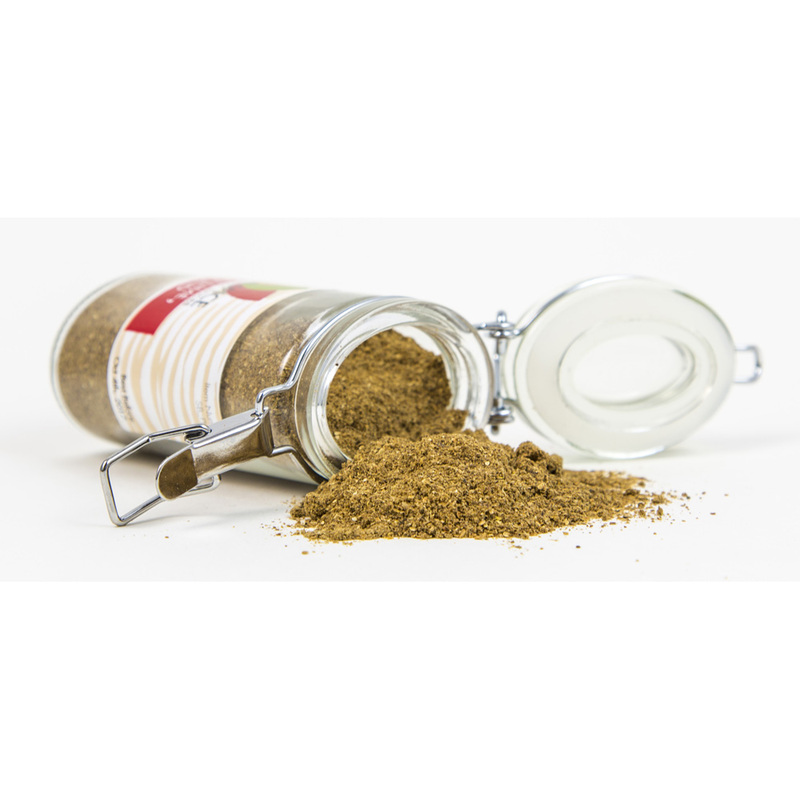 The spicy rub is perfect for sprinkling over kabobs, skewers of grilled shrimp, and Persian chicken dishes. Generally, you use the whole dried Persian lime when making soups and stews and use the ground version for rubs, burgers, salads, and kabobs. Make your own spice rub and seasoning by taking ground Persian lime, and adding ground cardamom, dried ginger, fennel seeds, turmeric, and red pepper flakes. Use this for meat and seafood rubs, basting sauces, and for adding to burgers and lentil patties. Persian limes were created in the Middle East as a hybrid of Mexican Key lime fruit combined with Mediterranean citron fruit. Key limes and Persian limes are produced from a thornless citrus tree from the Rutaceae family, which is the same family that common limes stem from. Persian limes were first commercially cultivated in Iran and Iraq and grew in popularity throughout the Middle East. As trade routes grew, Persian limes found their way to the United States. In the late 1800s, a gentleman by the name of John T. Bearss developed a variety of Persian limes that were cultivated in California. The fruit carries his name today and is known as the Bearss lime. Florida became one of the primary growers and importers of Persian limes until Hurricane Andrew devastated the lime orchards in 1992. After that natural disaster, Mexico became, and still is, the primary grower and exporter of Persian limes worldwide. Persian limes are Mexico’s second most widely exported crop, coming in second to avocado exports. Persian limes are a hardier variety than Key limes, and they can be grown in harsher environments. The trees generally grow to about 20 feet and have widespread branches that help to shade the fruit. The fruit lacks seeds or has very few seeds, so propagation is generally done with grafting techniques. The Persian lime is grafted onto either grapefruit, sweet-orange, or rough-lemon stock. The flowers begin to bloom in January, and the harvest of limes begin in May, with the most productive months being June through September. 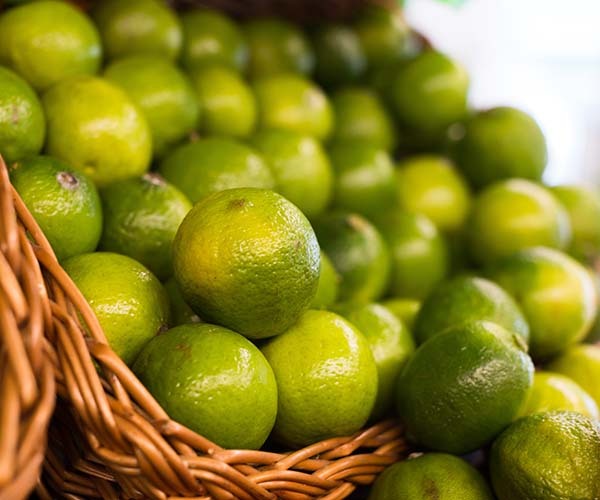 When the limes are first harvested, they are bright green. As they further ripen off of the tree, they turn a pale-yellow. 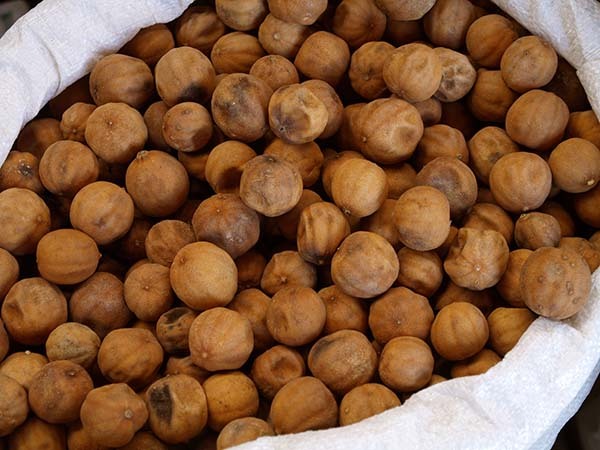 Once they have been brined and dried, they are a dark brown color with an extremely hard dry skin. These dried limes are then ground to create Ground Persian Lime powder. 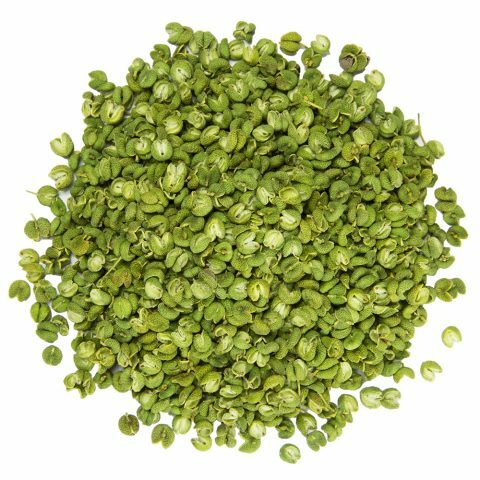 Take your Middle Eastern cooking to the next level with Ground Persian Lime from Burma Spice. We have several sizes to choose from, and the storage jars and bags will help to extend the shelf life of your spice. The beautiful one-ounce glass jars with the swing-top opening would make a thoughtful gift for someone who is exploring Middle Eastern cooking. For larger cooking projects, you can purchase the spice in three-ounce or five-ounce resealable rice paper bags, or purchase the spice in bulk for professional kitchens.